What’s your heart guiding you to do? See the heart? 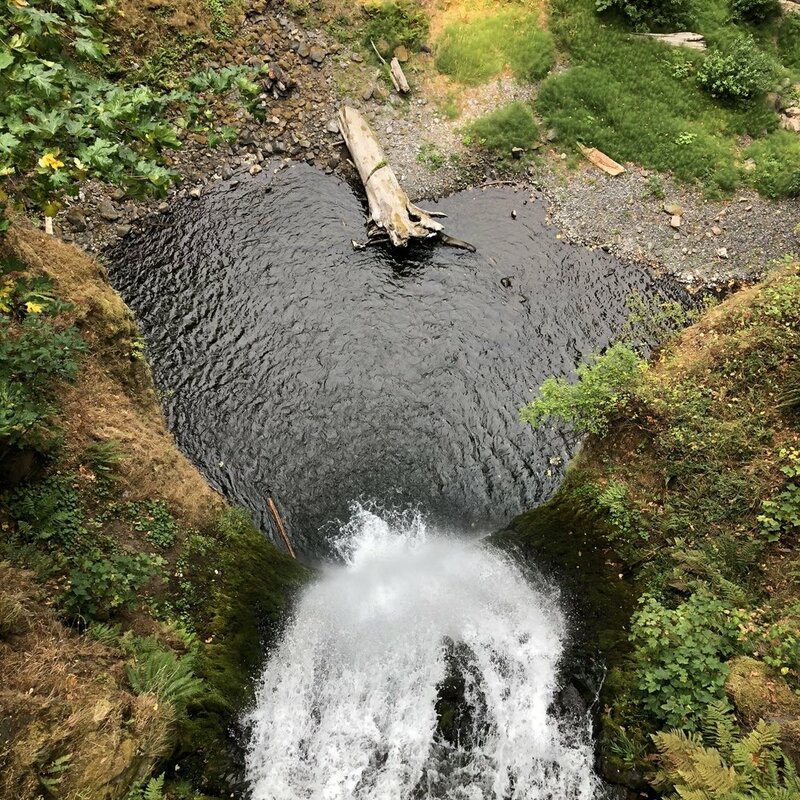 This is a photo we took while looking down from the bridge at Multnomah Falls. The topic of this episode reminded us of the poem “On Children” by Kahlil Gibran, from which that quote is taken. We include more of the poem at the end of this post. In this episode, we encourage you to really honor your heart’s desire. It can require some real intention and practice to discern what your true heart is actually saying, because society pours billions of dollars into trying to get us to ’desire’ certain products, services, status symbols, etc.